Some U.S. destinations are like chosen children. They are blessed with a natural grace and beauty far beyond the norm. 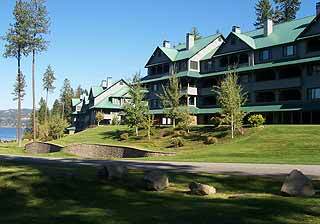 Such is McCall, Idaho, located l00 miles north of Boise. Situated near Payette Lake, it is both a recreational mecca and a place of abundant wildlife. Nowhere is this more apparent than at Ponderosa State Park, which sticks like a thumb into the middle of the lake. It is particularly picturesque in fall. Take a hike along the Huckleberry Loop for a glimpse of elk, beavers and possibly bear. In the summer, the lake offers fishing, boating, jet skiing—the usual summer thrills. If you really want to get away, you can travel over to Hells Canyon for back country backpacking. Come winter, head just eight miles away to Idaho’s best-kept secret—Brundage Mountain. Over 150 inches of powder fall on this ski area, enough to tickle every bone in a skier’s body. Stephen Lyons, writing about McCall at sunset, says: "No postcard, no poem, no million-dollar advertising campaign can convey this quality of light and shadow and dusky color." He’s right. 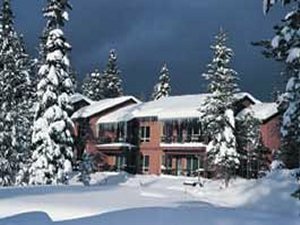 McCall is a truly gorgeous setting for everything from a romantic weekend to a mountain biking adventure.